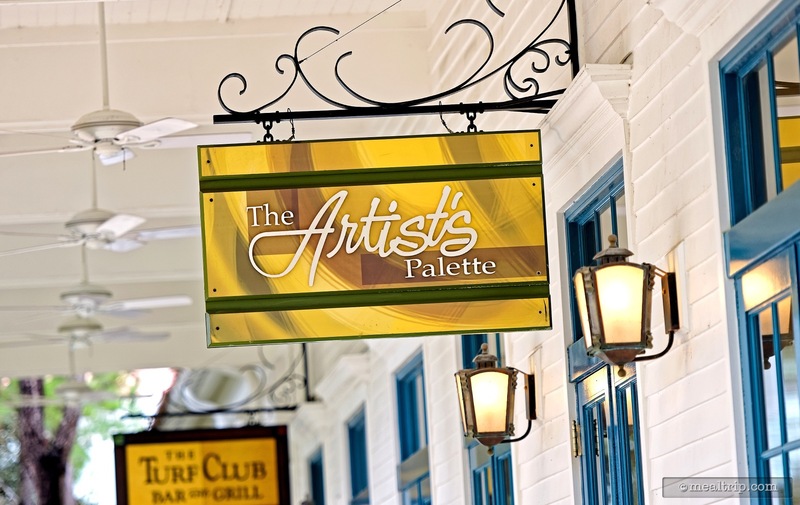 The Artist’s Palette is Saratoga Spring’s counter service location, and generally serves breakfast from 7am until 11am. The open, but oddly separated space seems to be part gift shop, part convenience store, part dining area, and part kitchen. A brave combination of yellows and blues are combined with natural white and wooden surfaces. It can get crowded, at peak times, but we’ve found the location more uninhabited, than not. While they do have standard issue breakfast items available (i.e. 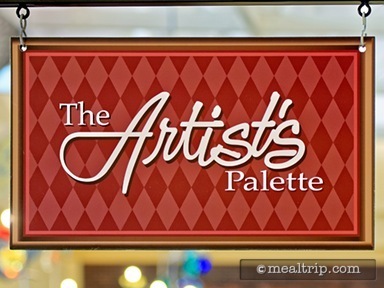 “the breakfast platter”), The Artist’s Palette seems to have more omelets actually written on the menu board, than any other location that we’ve found. A couple of breakfast wraps are also available.